SKULL DAZE have unveiled the artwork for their full-length debut. 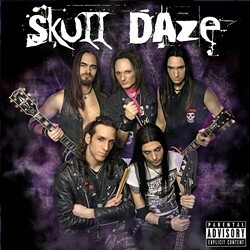 “Skull Daze” will be released on May 14th via Street Symphonies Records. The CD will be distributed worldwide by Twilight-Vertrieb. For more information, visit www.myspace.com/skulldazeband or www.streetsymphonies.com.